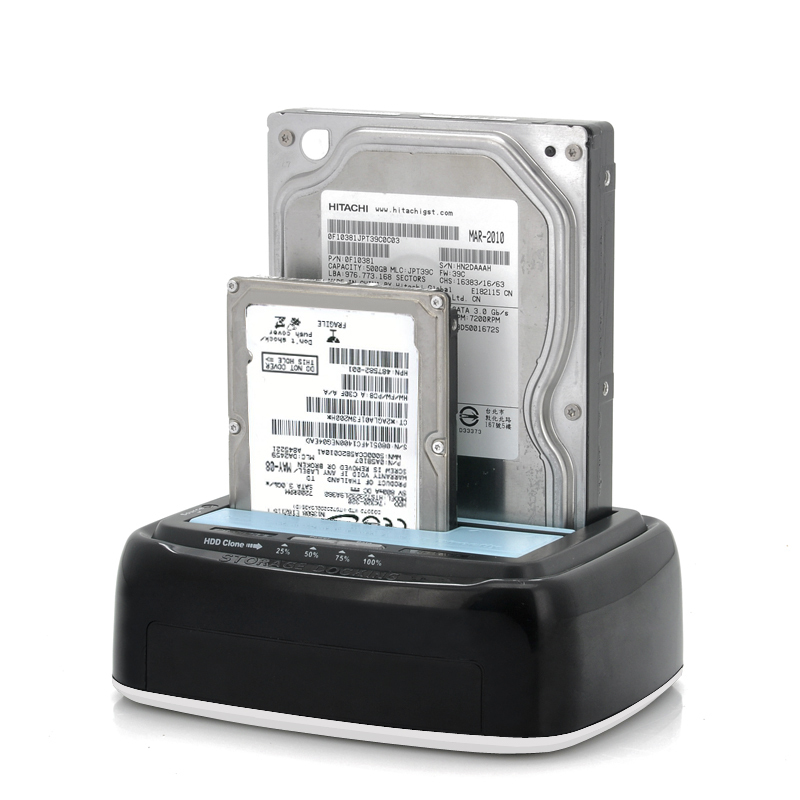 Successfully Added USB 3.0 Dual HDD/SSD Docking Station + Drive Copy to your Shopping Cart. HDD and SSD docking station coming with dual 2.5/3.5 inch slots, standalone drive copy function and fast USB 3.0 speeds for one of the nicest and most useful USB 3.0 docking station ever made. This brand new USB 3.0 docking station allows for blazingly fast USB 3.0 transfer speeds between your PC or Mac computer and your external SATA HDD or SSD. But high-speed file transfers are just the beginning of what this handy little device can do. This specific model comes with a one-touch drive copy function. No computer is even necessary! 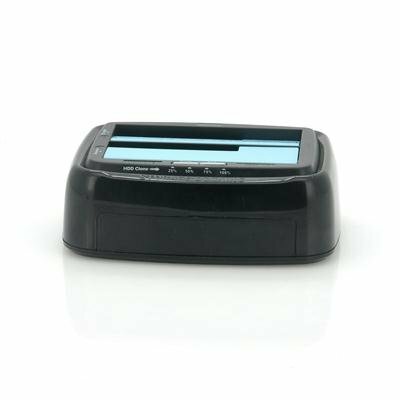 Simply place one drive in the "source" slot, the other drive in the “target” slot, then press the "backup" button and within a few short minutes your source drive will have been completely copied to your target drive. Data backups just got a whole lot easier! This USB 3.0 docking station makes it superfast and incredibly simple to manage data on external SATA drives. Whether you want to quickly copy your entire movie or music collection to a friend’s hard drive or simply want an easy way of backing up your entire HDD, the K142 will help you get it done at break-neck speeds. The great news is that while being one of the nicest HDD 3.0 docking stations we have ever tested; it still carries a low factory-direct price that most can afford. Get yours now while supplies last and we will express ship your order within 24 hours and even include our hassle free 1 year warranty. Easy to clone and or read an external harddisk. Speed, accuracy, simplicity is the name for this amazing little thing! i love it!